The city was sprawling but exciting. I loved the weather, the beach, the palm trees. My husband had a job and a car, we found a furnished apartment in an art deco building in Los Feliz, and I set out to be a public interest lawyer. After dropping my husband off downtown in the morning, I would drive to wherever I had an interview … or to some part of the city that sounded interesting to explore. But I soon became depressed, and then angry, about the thick yellowish gray morning sky, the fluorescent orange sunset, and the metallic taste and eye-stinging character of the air around the airport and Caltech. My chance to do something about this ugly fact of life in L.A. came when I was hired by the Center for Law in the Public Interest, a brand-new not-for-profit legal services organization founded by four corporate lawyers looking to bring high-class representation to environmental and civil rights issues. From a small office building on Santa Monica Boulevard near UCLA, the center set out to bring litigation with a major impact that would test the reach of brand new laws: the National Environmental Policy Act, the Clean Water Act, and, most powerful of all, the Clean Air Act—all signed into law by Richard Nixon. The center’s litigation docket included cases to stop plans to blanket the basin with freeways and build a string of nuclear power plants along the coast. One day, the center got a phone call from the city attorney of Riverside, asking if we could help bring a lawsuit to stop Los Angeles from sending its smog downwind, where it was having serious impacts on health and quality of life—not to mention reducing property values and scaring away potential employers. As the junior lawyer at the center, I was assigned to look into possible legal theories that could be used. On its face, the likelihood of winning a Riverside-vs.-Los Angeles nuisance case seemed small, but fortunately we had the new, but untested federal Clean Air Act as a possible legal tool. This truly groundbreaking federal law set national air quality standards based on public health. It also required states to develop plans to attain those standards. It also gave citizens the right to go to federal court to enforce deadlines and other requirements. Within months, we had a District Court injunction ordering the state of California to file an attainment plan—and I became among a handful of experienced clean air lawyers in the U.S. These were times of great hope and ambition but we had a powerful ally: the support of the public who were demanding cleaner air. Funding for atmospheric research within the University of California reached unprecedented levels, and there were bipartisan legislative proposals to strengthen state and local authority. Just as we are now seeing in China and India, ordinary citizens were demanding action. They had good reason: The Los Angeles Basin violated federal health standards over 200 days a year in the 1970s. And one-hour “emergency levels”—over 20 parts per billion ozone, enough to trigger warnings and cancel school playground time—happened dozens of times, especially in the eastern part of the L.A. basin. The San Gabriel Mountains to the north and east were hidden behind a white or sometimes light brown haze of pollution most of the year. Science and technology had also advanced to the point where we could measure and connect the effect of ozone pollution with restricted growth in children’s lungs. We were armed with the conviction that we could slay the smog monster—we had the Lung Association and the Sierra Club, the NAACP, and local homeowner groups united in support of taking action to clean up the air. Air pollution had not yet become a partisan issue in part because the smog was so visible and oppressive. A broad swath of the population from both parties understood that the only solution to this difficult issue was clearly strong action by the government to deal with the major sources of pollution. We began with cars. The first target: volatile organic compounds (VOCs), hydrocarbons that react with combustion products (nitrogen oxides) in sunlight to produce photochemical oxidants, usually measured as ozone. But we hit a complicated challenge almost immediately. Reduce the amount of VOC in gasoline and adjust the ratio of air to fuel in the engine, and emissions go down dramatically. But in the process you also increase those nitrogen oxides that are precursors for smog. Controlling the nitrogen oxides impairs fuel economy. And who knew the exact chemical formula for preventing the formation of smog in the atmosphere at various times of day and seasons of the year? Millions of dollars and thousands of hours of modeling in atmospheric chambers and on computers led to more sophisticated knowledge of the airshed—the whole Los Angeles basin where the air is trapped by the mountains. But no amount of tweaking could overcome the basic problem: too many cars, too much petroleum burned, not enough options for walking, bicycling, or taking transit to meet the needs of people. Then there were the power plants. Southern California Edison and the L.A. Department of Water and Power operated a fleet of generating stations along the coast; the pollution coming from their stacks would impact the entire population, since air flows mainly from ocean onshore, from west to east across the basin. Back in the ’70s those plants burned fuel oil containing a residual amount of sulfur that turned to sulfur oxides in the combustion process, creating a separate health risk and damaging vegetation and paint on neighbors’ cars. Despite all these threats to health and the environment, local and state agencies were slow to respond. Yes, backyard incinerators had been banned in the ’60s, and oil companies had been required to provide gasoline with lower VOCs in summer months. But the auto industry, which employed thousands of assembly line workers in Van Nuys and Pico Rivera, was still in denial that much could be done. By 1975, when Jerry Brown became governor on a platform that promised “blue skies,” the public was ready for more. Brown appointed Tom Quinn, his campaign manager, to chair the Air Resources Board. Quinn was a communications expert and seasoned political strategist. He was also a Los Angeles native, raised near the Griffith Observatory, who had a passionate hatred of smog. Quinn recruited an automotive engineer, Robert Sawyer, a professor at UC Berkeley. He also hired an environmental lawyer (me)—to help enact a set of regulations that within a few years had in-basin power plants burning cleaner natural gas, and new cars redesigned using catalytic technology and evaporative control equipment that slashed emissions by 90 percent. There was resistance, with battles fought in the board hearing rooms and in the legislature. But we made progress starting in the late ’70s that continued through 1990. The success of these programs not only improved the health of residents, it allowed for continued growth: a doubling of California’s population, and a more than doubling of both the number of vehicles and the gross state product. I believe we were able to make dramatic progress through a combination of the right political leadership, legal tools, activist nongovernmental organizations, and emerging science and technology. 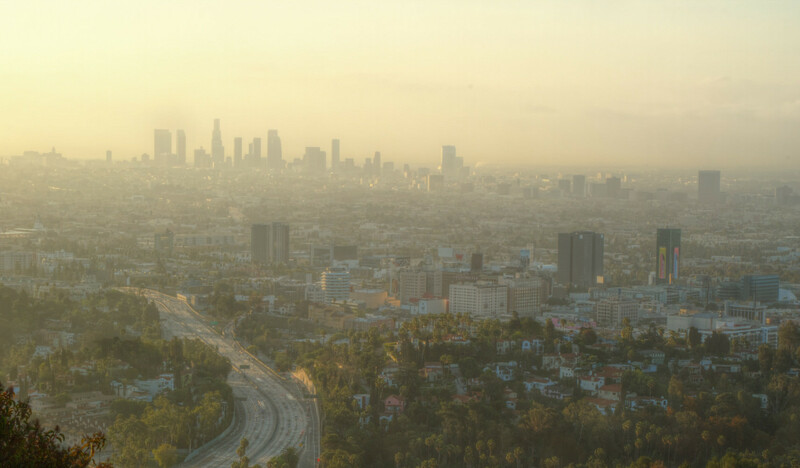 And this success in reducing Southern California smog built an agency with the technical know-how and policy experience to take on the next air challenge: greenhouse gas emissions that cause global warming. This is of course a global challenge, requiring actions by individuals, businesses, and nations around the world, but we have the same combination of ingredients in place. Mary Nichols is the chair of the California Air Resources Board. This essay is part of Is L.A. Still a City of Big Dreams?, a project of Zócalo Public Square. *Photo courtesy of Scott Smithson.